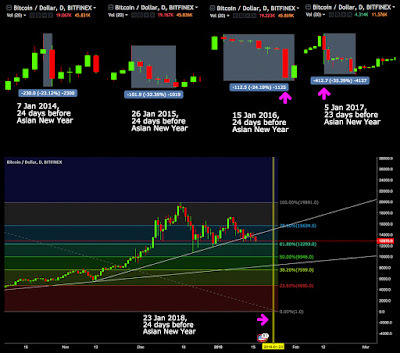 "Crypto Jack" goes through all of the "blood in the streets" in the crypto asset markets, then references a Reddit post that suggests that this crash might be more like what we saw in December, where prices fell as people liquidated their holdings for Christmas presents. This time though, it's because Asia still dominates in crypto-trading by volume, accounting for the vast majority of money flowing in and out, and their Lunar New Year is coming. 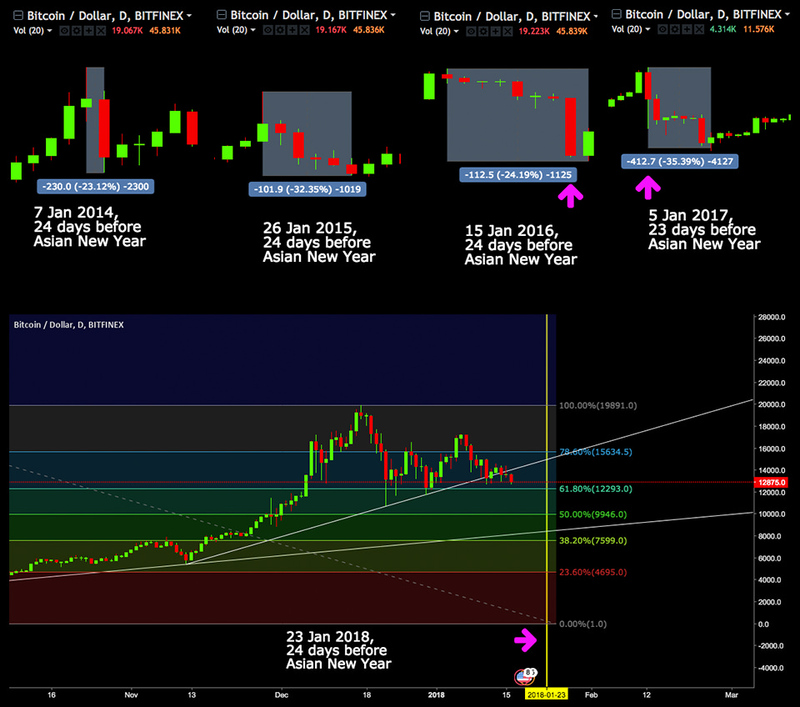 According to the post, this selloff has happened exactly 3 weeks before Lunar New Year each of the last 4 years. Is Crypto Jack right? Only time will tell. At the time of this post though, Bitcoin is trading for just above $9,600 per bitcoin. That's over a 50% drop since it's high in December.